14. Your Excellency, do you think that the Motu Proprio, despite its deficiencies, is a step toward restoring Tradition? It is a step of capital importance. You could even call it an essential step, even though so far it has had practically no effect, or very little, because there is massive opposition by the bishops. 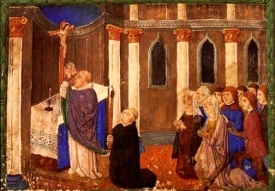 At the juridical level, the Motu Proprio has recognized that the old law, the one pertaining to the traditional Mass, had never been abrogated: this is a step of capital importance in restoring Tradition to its place. 15. Practically speaking, have you seen across the world any important changes on the part of the bishops concerning the traditional Mass since the Motu Proprio? No. A few here and there who obey the Pope, but they are rare. 16. How about the priests? Yes, I see a lot of interest on their part, but many of them are persecuted. It takes extraordinary courage simply to dare to apply the Motu Proprio as it was worded; and of course, yes, there are more and more priests, especially in the younger generations, who are interested in the traditional Mass. It is very encouraging! 17. Are there communities that have decided to adopt the old liturgy? There may be several, but there is one that we know about, in Italy, the community of the Franciscans of the Immaculate, which has decided to return to the old liturgy; in the women’s branch it has already been done. For the priests who are involved in ministry in the dioceses, it is not so easy. 18. What advice do you give to Catholics who, since and thanks to the Motu Proprio, now have a traditional Mass closer to them than a chapel of the Society of St. Pius X? My advice to them is to ask the priests of the Society for advice first, not to go with their eyes closed to just any traditional Mass that is celebrated nearby. 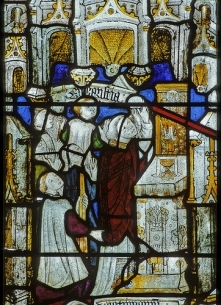 The Mass is a treasure; but there is also a way of saying it, and everything that goes with it: the sermon, the catechesis, the way of administering the sacraments… Not every traditional Mass is necessarily accompanied by the conditions required for it to bear all its fruits and to protect the soul from the dangers of the current crisis. Therefore ask the priests of the Society for advice first. 19. The liturgy is not the basis of the crisis in the Church. Do you think that the return of the (traditional) Liturgy is always the start of a return to the integrity of the Faith? it is truly the antidote to the crisis. It is really very powerful, at all levels. At the level of grace, at the level of faith…. I think that if the old Mass were allowed to be truly free, the Church could emerge rather quickly from this crisis, but it would still take several years! 20. 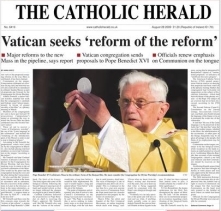 For a long time the Pope has been speaking about “the reform of the reform”. Do you think that he hopes to try to reconcile the old liturgy with the teaching of Vatican II in a reform that would be a middle term? Listen, at the moment we know nothing about it! We know that he wants this reform, but where that reform is headed? Will everything eventually be blended together, “the ordinary form” and “the extraordinary form”? That is not what we find in the Motu Proprio, which requires us to distinguish the two “forms” and not to mix them: this is very wise. We have to wait and see; for the moment let us stick to what the Roman authorities say.